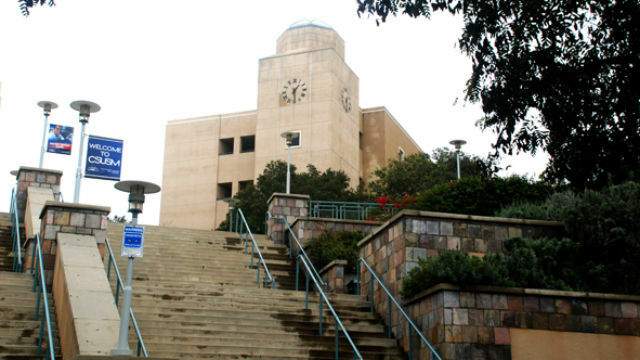 A settlement could be on the horizon in stalemated contract talks between California State University and the union representing CSU faculty, with officials saying Wednesday they hope to announce a deal by the end of the week. The university system — with campuses in San Diego and San Marcos — and the California Faculty Association issued a joint statement saying “there is hope” that a deal can be reached that would avert a planned five-day systemwide strike being planned by the union beginning April 13. No details of the possible settlement were announced, and both sides said they would adhere to a 48-hour “blackout period,” during which neither will respond to media interviews or give any statements regarding the status of the talks. “CFA leaders and CSU officials plan to hold a joint news conference on Friday, April 8, in Sacramento, at which time they hope to announce a settlement,” according to the statement. The union and the CSU have been at loggerheads for nearly a year, with the faculty association calling for a 5 percent salary increase, and the university system offering 2 percent, insisting there is no money available for higher raises. The CFA won a major victory on March 28, when a fact-finder hired to help resolve the contract dispute recommended that faculty receive the 5 percent raise they’ve been demanding. Arbitrator Bonnie Prouty Castrey said the increases should be spread over the next year, with the money re-allocated from other projects. She also recommended that step increases due for 43 percent of CSU faculty should be paid. The nearly 26,000 instructors at the 23 CSU campuses have scheduled strikes for April 13-15, and April 18-19, if no agreement is reached.